This Sunday, Wolverhampton Wanderers go up against Burnley. Is this the worst time to face Burnley? I believe so. After a long, long International break, football fans will be exhilarated to know football is back! 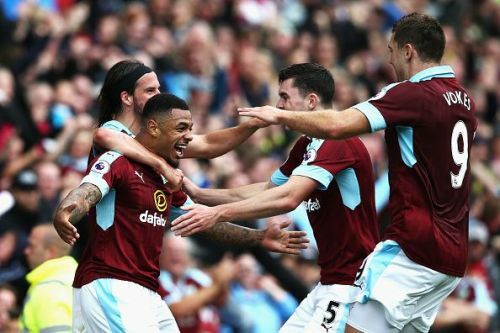 Although, Wolves fans will be a little nervous because they are coming up against a fresh Burnley side who have had a 2-week break. They are in great condition, better than ever and they will be putting their hearts on the line. Burnley doesn't particularly have the 'greatest' side in the world, they have huge hearts and every single one of there players put their hearts on the line, week in, week out and it really is showing in there multiple performances of joy over the last few seasons! 38 Games, 14 Wins, 12 Draws, 12 Losses. A remarkable record for any fan. You've got to give it to Burnley. They are an amazing side and I wish the best of luck to them! Short description of Wolves going into Sunday. 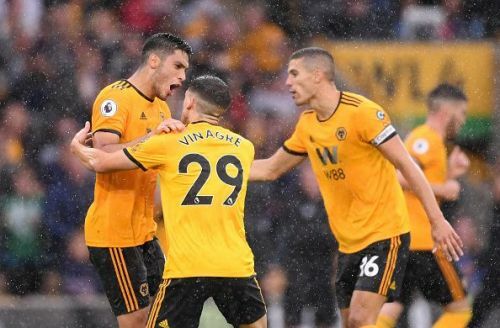 Wolves are in the best shape of there lives, with a draw to Champions Manchester City and a win under there belt. They are shaping up to be something quite magnificent. With wonder kid Rubén Neves, magic man Joao Moutinho and the Mexican masterclass Raúl Jimenez is it any wonder they are tipped for a top half finish first time back in the big time? The Wanderers are going into Sunday strong with a draw and a win in the last two games. Although Burnley isn't quite the same with a record of 4 games and 0 wins. This is potentially down to the fatigue from the Europa League games they are playing. They have already played over 10 games! Overall, from a biased Wolves perspective, I believe Wolves can recover a 1-0 Win over Burnley putting them in a strong position to verse Portuguese pal' José Mourinho!